Remove severe to moderate surface defects with ease! 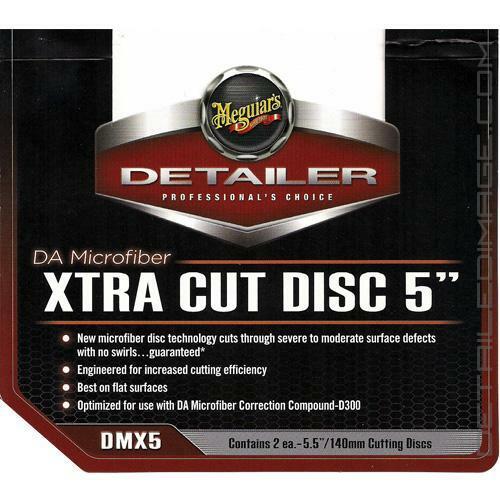 Use with Meguiar's Backing Plates W67DA 5" or S6BP 6"
The Meguiar's DA Microfiber Xtra Cut Disc's will help you remove severe defects quickly and easily! These Disc's are specifically designed to work with the D300. When you pair these products together you can expect amazing results! 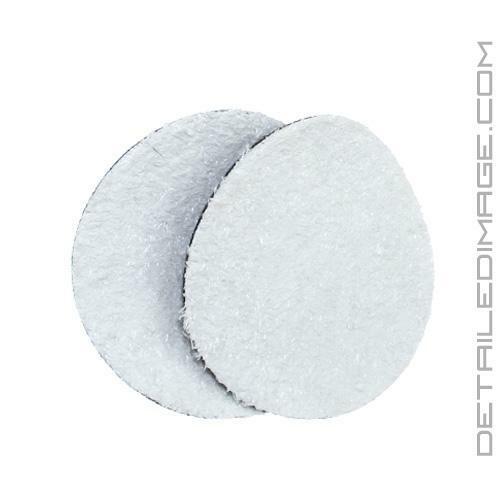 This pad is known for it's extra cutting power that removes severe to moderate surface imperfections, but it can finish down like much softer pads. 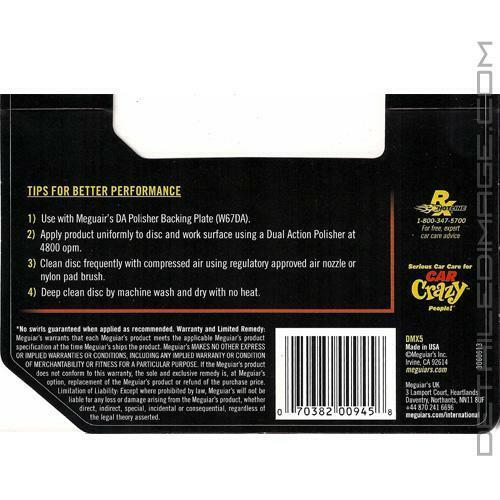 Meguiar's also highly recommends using their backing plates because they have a shorter loop on their model (W67DA 5" or S6BP 6"). This helps reduce the amount of heat generated, which in turn preserves the life of the pad! Follow up with the Meguiar's DA Microfiber Polish D302 and the Meguiar's DA Finishing Disc's to finish the paint down to perfection. If you are looking to easily remove severe imperfections the Meguiar's DA Microfiber Xtra Cut Disc's are for you!